What Does the Lord Ask of You? 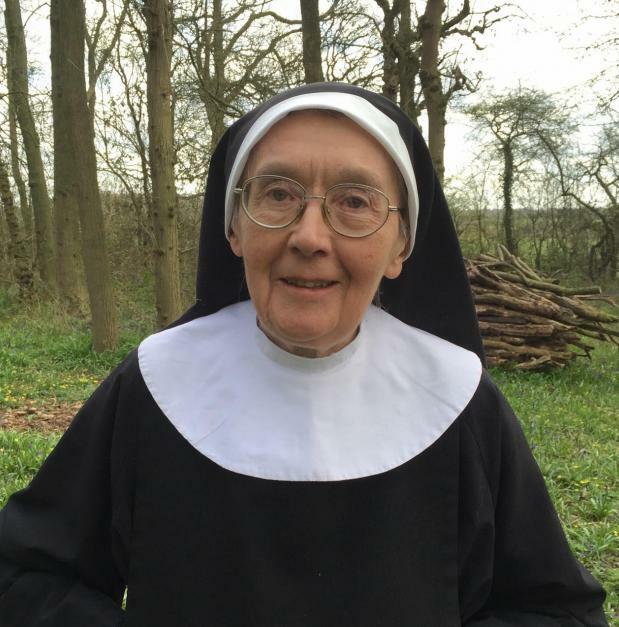 Sr Mary Michael CHC died in hospital in Nottingham during the early hours of the morning of the Feast of St Thomas, following a recurrence of the cancer for which she had first received treatment in 2005. Sister, who grew up in Liverpool, joined the Community of the Holy Cross at Haywards Heath in Sussex in 1961. In 1976, the Community moved to Leicestershire, and in 2011 to their present brand new convent at Costock some 2 miles away. Sister was a gifted and prolific writer of short articles. She sponsored a number of series of pamphlets on monastic themes, and on Christian unity and the saints. It was the events in the Church of England following the ordination of women in 1993 that became the impetus for RooT (Religious of orthodox Tradition) in which Sr Mary Michael was to play a significant part during the following years. RooT’s purpose remains always an eirenic and pastoral one, with its principal concern for the unity of the Church. It was Sister’s own work for unity that motivated her throughout her life and remained at the very heart of her faith and conviction. Sister represented RooT on the Forward in Faith Council over a period of many years. She kept informing the Council on matters of vital concern for religious life and communities, both in this country and abroad. Within her own Community, Sister became the Novice-mistress, and the care of fresh vocations awakened in her a keen concern for religious vocations generally. An impromptu speech Sister made at the Forward in Faith Assembly in 2013 became a turning point for RooT. It led to the Vocation Taster Days that have happened regularly since that time. Unhappily, it was at that point that Sister became unwell and she was in fact unable to attend any of the Taster Days. This illness was later discovered to be a re-emergence of the cancer for which she had been treated nine years earlier. During these final four years, Sister lived the rhythm of a more solitary life of prayer at Costock. In 2014 Sister passed a significant milestone in her life, when she celebrated the Golden Jubilee of her Profession, surrounded by a host of friends. Sister Mary Michael’s special gift was her unwavering concern, for the flourishing of monastic and religious life. Fr Richard Meux Benson SSJE remained always for her a profound influence in her thinking, She believed that ‘any genuine invitation from God’ means that we must ‘give all to him, cost what it may, and for life’: words that reflect her own response and commitment lived out over 55 years. If she understood that life as a ‘stern necessity’ (to use Benson’s words), she was equally convinced it became ‘a life of joy’ for those obedient to it. A fuller version of this obituary will appear in New Directions. Most of our religious brothers and sisters today are living out their vows in community, but some live outside it as solitaries. If we look at many of the communities, the reality is one of fewer members, and a high proportion of them are now elderly. If we are honest, it is true to say that no community is thriving with lots of novices and people in first vows. Nearly twenty years ago there were over forty communities for women in the Church of England, whilst today there are roughly twenty-five. In 1997 there were ten communities for men, now there are only seven. Quite a few of our religious orders are small by comparison to what they once were, some of them now with fewer than five or six members. In the 1970s and 1980s several communities made the painful but justifiable decision to sell their mother houses, which were built in the nineteenth century with large, commodious monastic chapels. The problem inevitably was sustainability: there were fewer vocations joining, either as professed brothers and sisters or as novices, while at the same time there were men and women leaving their communities, and death would be a prime factor. For many of the communities the decision to sell their mother houses, along with vast acres of land, in exchange for something more manageable seemed to be a way forward, though at a considerable cost to those who spent a lifetime there, from postulant through profession: their memories, their stories, their community history embedded in their convents and monasteries. Even with moving from once familiar places to new conventual homes that would be environmentally friendly and low-maintenance, there are fewer men and women offering themselves to this way of living out their baptismal promises and doing so for life. How does one reverse this seemingly downward trend? What are the reasons why people do not feel drawn to this way of life, this radical manner of Christian witness? 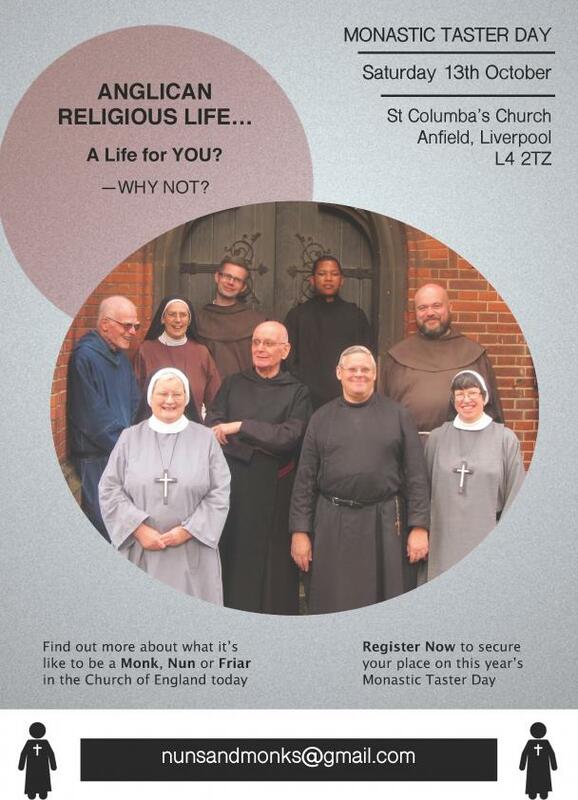 For several years there has been a growing interest in monasticism and we are seeing in our religious communities people who want to be associated with us as companions, oblates or associates but few who actually are able or willing to make a total commitment of taking that first step, that leap of faith to see whether God is actually calling them to a life of sacrifice as a monk, nun, sister, brother or friar. Sharing in the life of a monastery or convent is different from actually living the life on a daily basis. The monastic life can be traced to the earliest days of Christianity. The Desert Fathers and Mothers were the first to literally renounce everything. St Antony of Egypt at the age of 34 decided to take up the words of Jesus: ‘If you wish to be perfect, go, sell all that you have and give to the poor, and you shall have treasure in Heaven, and come and follow me.’ [St Matthew 19.21]We may well ask why anyone in the twentyfirst century would want to make the ultimate sacrifice of having no possessions, no money, no prospect of promotion, and no chance of having a wife or husband and children. God calls each one of us to a special relationship with himself, and what form that will take isn’t always clear. We needn’t be too worried if there seem to be false starts. Nothing is wasted with God and he will find the way for us in his good time, if not as directly as we might wish. The life of a religious community is a specialized form of the life of all baptised Christians. Its distinguishing marks are vocation, rule, vows, and common life. In our Christian calling and discipleship Spirituality is how we focus on God. This means having a rule of life, the discipline of prayer and confession, the daily recitation of a sevenor four-fold office, frequent communion, fasting, meditation and spending time in retreat. In our disciplined life we should be mindful of moderation: in food and drink, in not exploiting others for our own ends, the use of God’s creation, good works, charity, looking after others. The religious life is a life centred round the gospel of Jesus Christ. Together, monks and nuns, brothers and sisters, worship God and seek to listen to him as he speaks to us in scripture and through the lives of those around us. Surely as God is calling men to the sacred priesthood he is also calling men and women to the religious life. What we seek is complete union with God. Perfection consists in charity which finds its source and motive in God and its opportunities amongst our neighbours. The New Testament counsels detachment from all hindrances to charity and for the monk or nun, brother or sister, this requires the renunciation of riches, carnal pleasures, and self-seeking. These form the three counsels of the religious life: poverty, chastity and obedience. Poverty is more than an absence of wealth; the true test is to ask: ‘How much does it mean to me?’ Our Lord reminds us: ‘Where your treasure is, there will your heart be also.’ If you see that money is a trust from God and use it for his glory then you are living in the spirit of poverty. For the religious, poverty means putting away everything belonging to the world. Chastity for the religious means far more than the absence of a husband or wife. Marriage can and should be a shining example of the virtue of chastity. The vow of chastity does not bind us to a loveless existence but allows us as religious people to show unconditional love to all as our Lord commanded. The vow of celibacy is taken because of love for God: we are called to follow him with an undivided heart, and refrain from intimate relationships with others. Not everyone is called to a life of celibacy, but all Christians are called to chastity. Each of us is bound to the virtue of obedience. There are obligations which grow out of our membership in the Church. In the religious life, obedience brings the will of God into every moment of our life. The vow of obedience is the gift of ourselves to God, offering up our freedom to him and submitting to the will of those set over us. There are some people who have a ‘romantic’ ideal of the religious life, a life of praying and being good 24/7. If they came into community, their ideal of the life would soon disappear very quickly! There is no such thing as a ‘perfect’ community with nothing to escape from. One has to face head-on the difficulties and challenges that confront us from time to time— there is no escape. We seek that perfection in Jesus Christ, though we fall short of God’s glory. God chooses us, but we do not choose the men or women we live in the community with. God has called them too, and they will be imperfect just as we are, but all the more striving for that perfection which is found in Our Lord. The religious life is not a remedy for the disappointed, or as a life selected by the self-willed and selfish; it is a struggle to the end against spiritual enemies, and if we are able to win the battle we must put on the armour of God. In our religious life we aspire to be given continuously to prayer that has to be sheltered by silence. In his Instructions on the Religious Life, Father Benson reminds us that silence is the great safeguard of religious actions, the storehouse of religious feelings, a preservative against many evils, and a means of learning manifold mysteries. Silence must be valued before it can be practiced. When one looks back at the contribution of religious orders of women made in the parish, their quiet witness for the most part has gone unnoticed. What we need to remember is the sacrifice these sisters and others like them made in the face of persecution and sheer ignorance, which is why it is important to remember the past so we can build on it for the future, our future as catholic Anglicans. Over the past several decades much emphasis has been put on the vocation of more priests, and rightly so, but at the same time if we claim to be promoting the catholic faith among us our inheritance as Anglo- Catholics within the Church of England should also include vocations to the religious life. We talk a great deal about renewal and mission within our church, and in the past some of us can recall the retreats and great missions in our parishes carried out by brethren of Cowley, Mirfield, Kelham, and Hilfield and sisters from Lloyd Square, London Colney, East Grinstead, Horbury, Malvern Link, Wantage, Whitby, and Woking to name a few. During the 1950s and 1960s there were sisters from 25 communities working in nearly 300 parishes, where they lived in mission houses. There are very few churches nowadays that still have sisters living and working in the parish and the number of retreat houses run by our religious communities has fallen, yet the overall outlook should not be a cause of despair. The future of the religious life and its revival will only come about with the help of you, the members of Forward in Faith, and the continual encouragement of our bishops and the catholic societies which we support. 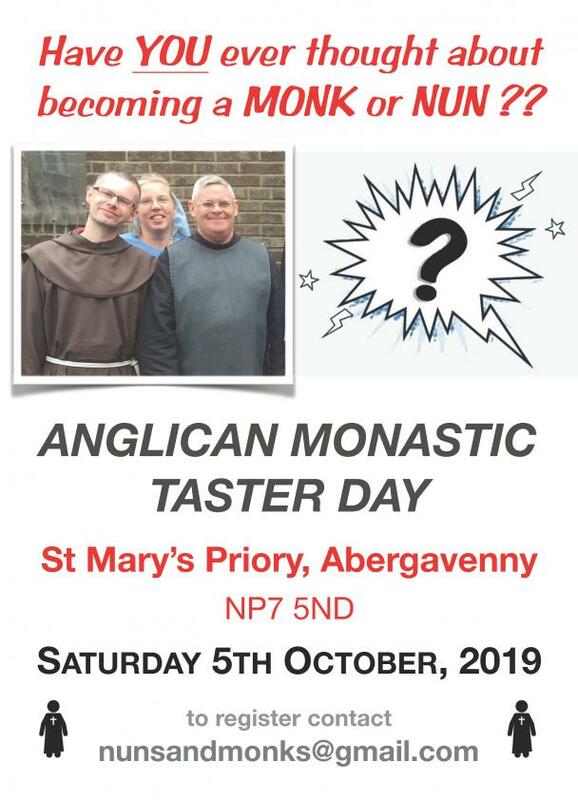 Religious of orthodox Tradition has hosted three vocations conferences known as ‘Taster Days’ in Wellingborough, York and London for those interested or curious about the religious life. A fourth ‘Taster Day’ will take place on 13 October in St Columba’s Church, Anfield, Liverpool. In the meantime, we ask your prayers and support for more religious vocations. Brother Steven Haws is a member of the Community of the Resurrection.